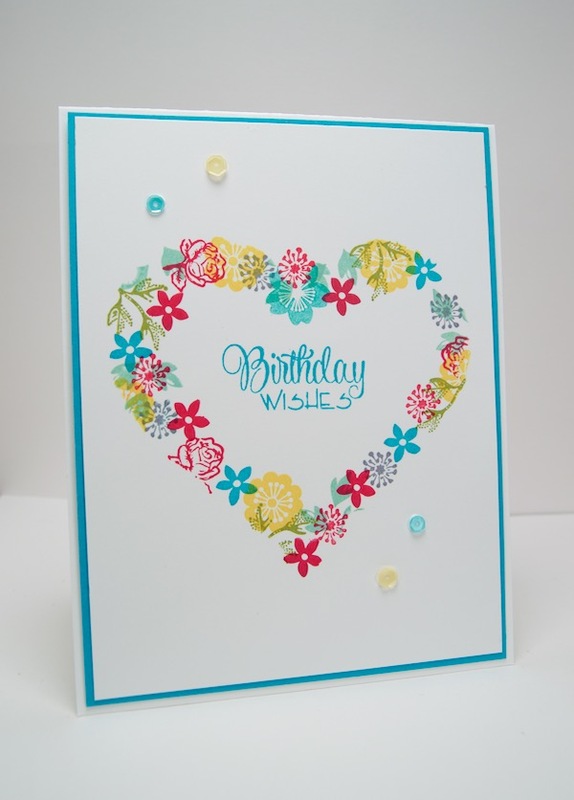 That is a gorgeous card and love how you used a heart design for the pattern. And CAS is what I do mostly and so I can tell you that even though it is clean and simple I am sure it took a lot of time to stamp each little image into that shape. A great look my friend! I totally agree with Verna. It must have taken quite awhile to get the stamps in place and co-ordinate the colors. It turned out great and something that I need to try. I don’t have my back up stash with me, so I am making cards for all of the birthdays and friendships that I need. More that I thought. Beautiful card Nancy. I love how you used the heart mask to make your pretty flowery wreath. I am sure it took a lot of time to stamp the individual flowers in different colors, but it was worth it. Love it. Super adorable! 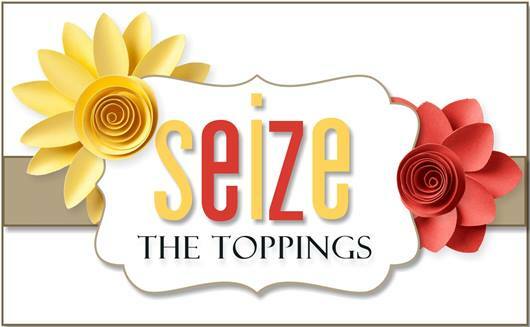 Inspires me to pull out my tapestry stamp sets. Thanks Sophia!! I’m so glad I’m not alone!!! I am trying to be better about that and just enjoy the creative therapy!! Hugs! This turned out perfectly, Nancy. I love that technique and haven’t tried it in a while. Thanks for inspiring me. I gave up on trying to outdo myself (or anyone else) a long time ago. Now I just go with what comes to mind immediately when I see a challenge. If nothing does, I skip it. 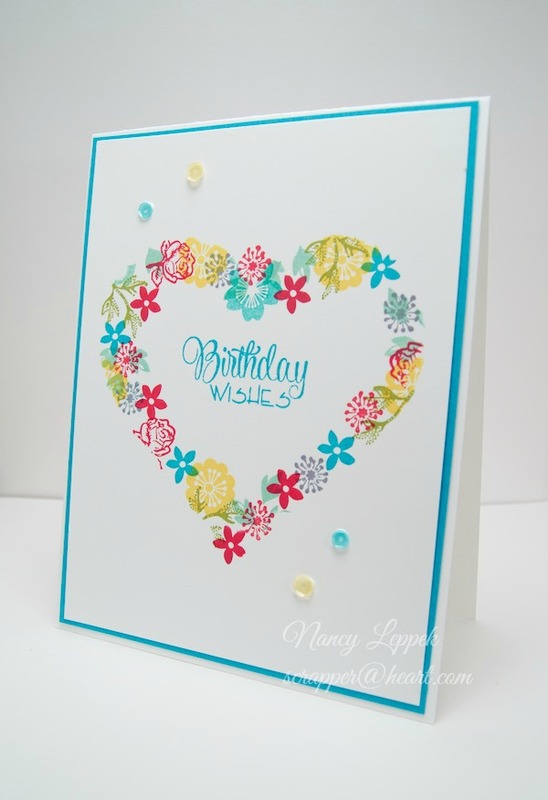 Lovely and wonderfully CAS card Nancy! Beautiful colors.